Royal De Gruijter & Co. was awarded its royal designation as long ago as 1920. Being entitled to call ourselves ‘royal’ is not only a great honour for the company, it is your guarantee of excellence. The title brings certain responsibilities and we have a reputation to uphold. You will soon discover that Royal De Gruijter & Co. is committed o providing the best possible service to clients in order to maintain its highly successful track record. Royal De Gruijter is an international moving company, we strive to offer excellence in all aspects of its service, be it international or domestic, within The Netherlands.Transportation of your belongings from one place to another is just part of a complete package of services for you and your family. You can call upon us to pack and unpack your household contents, and we shall do so with the greatest possible care. If you wish, we can even arrange for the packing and unpacking to be done by the same team, even if that means they have to travel to the other side of the world. We can liaise with all the other professionals involved in your move, from the builder putting the finishing touches to your new home to your interior designer. We can even help you to find your feet in your new surroundings, thanks to our global network of relocation specialists. The list goes on. 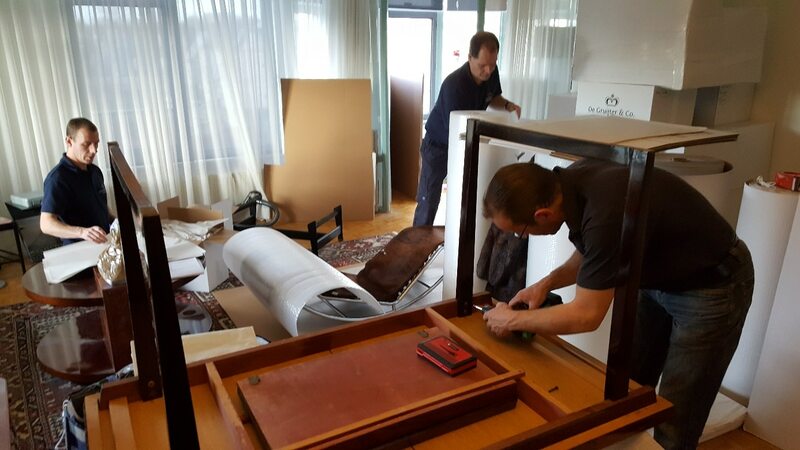 The entire move will be overseen by a single partner, your personal account manager who is your contact person within Royal De Gruijter & Co. from the very first day. You will also be assigned your own dedicated team of experienced moving specialists. If the input of external partners is required, they will be selected according to our own stringent standards and we will continue to oversee the entire process. We deal only with service providers, airlines and shipping companies that share our service philosophy and can meet our guarantee of quality. In short, only the best is good enough. Our concern for quality is reflected in our internal protocols and accreditation by various professional bodies, as described elsewhere on this website. We must undergo regular audits and inspections in order to retain our certification and our royal designation. Being entitled to style ourselves ‘royal’ motivates us to ensure the very highest level of service, not only for members of the royal family but for you – our valued customer. Royal De Gruijter & Co is a proud member of OMNI, an international concern of specialist moving companies. OMNI companies are market leaders in their own countries that have joined together to provide a network of excellence worldwide providing the best service the industry can offer. Royal De Gruijter & Co. is the ideal partner for every move, wherever in the world.